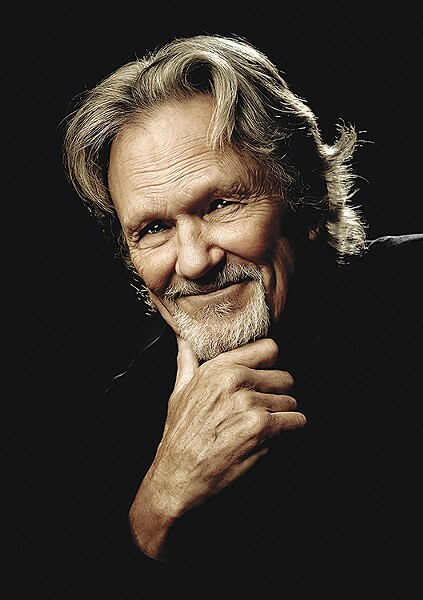 Kris Kristofferson needs no introduction at this point. His songs, usually covered by more famous artists like Janis Joplin or Johnny Cash, have been a staple of rock and country radio for nearly half a century. Still, if you are one of the lucky ones who bought tickets for tonight's show at the Van Duzer theater at 7 p.m., you are likely in for a treat, because even now in his early 80s, he has maintained a reputation as a wry and enjoyable performer ($66). Fun fact: When I was a teenager coming up with names for a short-lived punk rock band, one of my favorites was Pissed Pissedofferson. Speaking of punk rock, the Siren's Song has an all-ages show tonight at 8 p.m. with a different type of legendary act. Since its inception in early 1986 in Scarborough, England, Active Minds has been putting out DIY punk records and touring with a sound that is very political and consistently intelligently angry. Thirty-two years have not dulled them, so expect a good show, with Bay Area fastcore band Violent Opposition opening with local acts FamousxPerson, Drown in Piss and Dead Drift also providing support ($7).